This may not be that risqué in terms of today's internet, and what is available, but it is as risqué as I am likely to get. 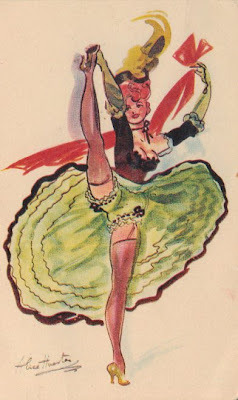 This Can Can dancer began as one in a watercolor series from the early 30's signed by Alice Huertas. They became postcards in the 1950s or 60s - reproduced on thin card.